Tell the driver that the street 'Enrique Palacios' is a parallel between the Avenues 'Pardo' and 'Angamos' in Miraflores. Tell him to drop you off at the 4th block ('cuadra cuatro'), No. 470. Walk three blocks along 'Pardo' Avenue, turn right in to 'Independencia' street, and after two blocks turn left into 'E. Palacios'. Walk to house No. 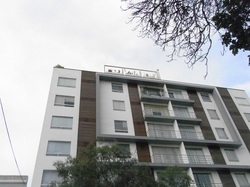 470.
at the exit, walk down six blocks along 'General Borgoño' street, turn left into 'E. Palacios', look for house No. 470 at the left-hand side. Take the Metrobus Line No. 1 to 'Ricardo Palma' station. At the exit turn right and go along 'Ricardo Palma' street. Ask the Microbus drivers for 'Enrique Palacios' street. Get off at busstop 'General Borgoño'. 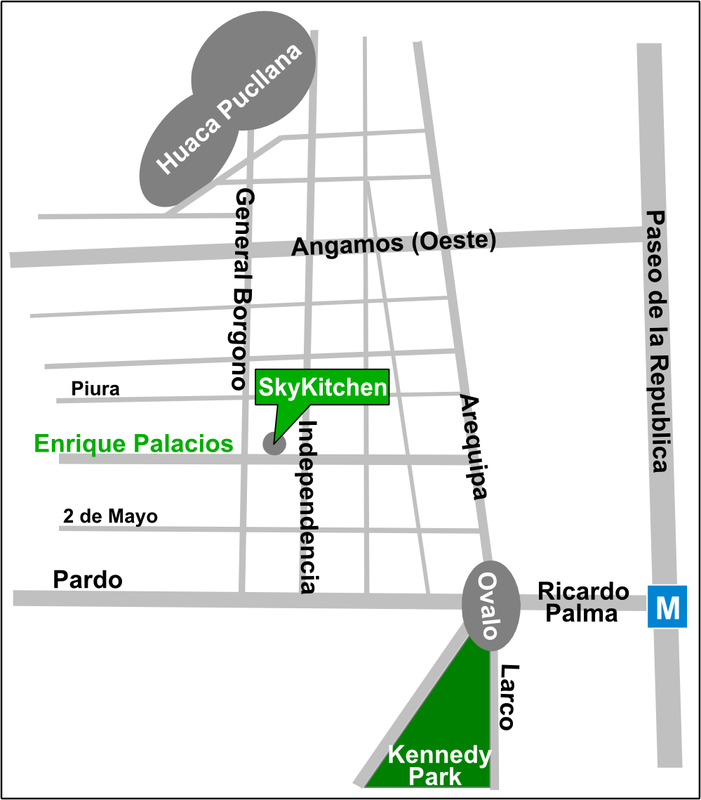 Ring the door bell and tell the doormen "SkyKitchen, 709" (in spanish: "siete cero nueve"). Get in and proceed to the reception. The doorman will call us so that we can let you upstairs. Take the elevator to the 7th floor. Go to the first door on the right-hand side with numbers 701/709 .